Generally you need tile trim between 1.5 - 2.0mm deeper than your tiles to allow for the adhesive. This versatile Listello can be used horizontally or vertically as a feature strip in wall applications. 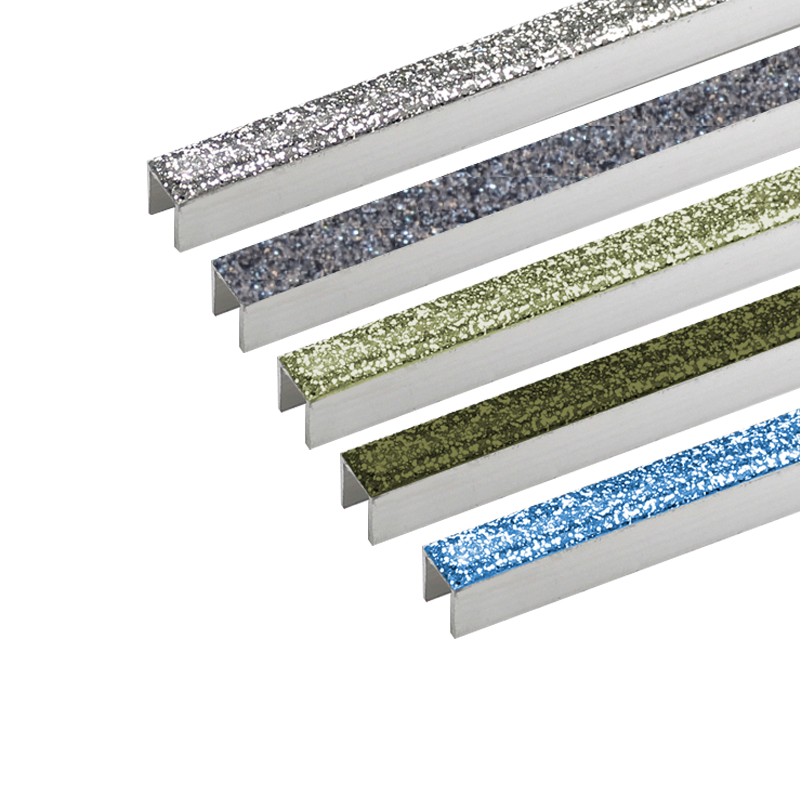 Create an extra special look to your tiling with these fantastic coloured Sparkle Listellos. 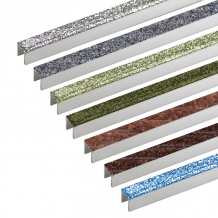 It can also be used as a divider, crack inducer or even as a decorative feature as well as a Listello strip to break up an expanse of mosaic or standard tiling. Order a 100mm sample piece which will be Dispatched Mon-Fri Only, Order before 12.00pm for same day Dispatch.